Director Stephen Sommers is reportedly working on a contemporary Tarzan film, the first since Casper Van Dien's Tarzan and the Lost City in 1999, set for possible release in 2011. He says he wants to make it a period film, about 1932, which idealizes Tarzan but eliminates "seeing a guy talking with apes," which didn't work that well thirty years ago in Hugh Hudson's Greystoke. Stuart Beattie will be the scriptwriter, previously known for his "G.I. Joe" and "Pirates of the Caribbean" scripts. 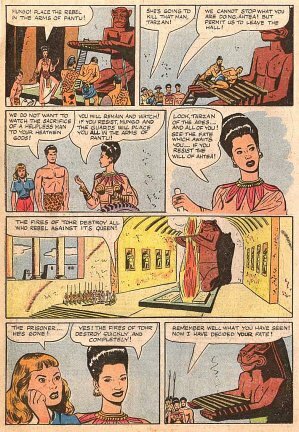 Once they get the budget money problems settled, Beattie will come up with his contemporary Tarzan "with supernatural stuff, witch doctors, and lots of really fun stuff." 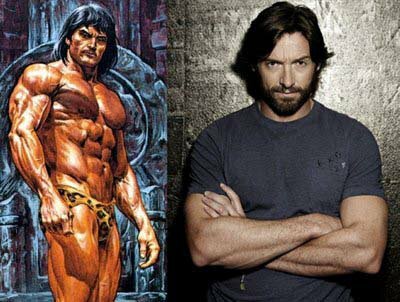 They will emphasize action in the film, and have suggested that Hugh Jackman (pictured left) might play the lead role. 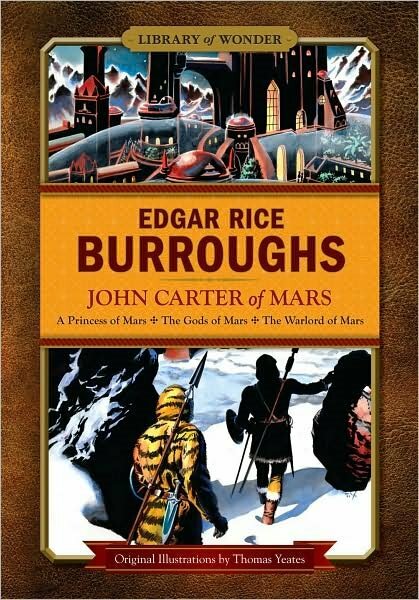 The deluxe illustrated edition of John Carter of Mars, which includes the first three novels, that we featured in GW # 321, was published in September by Barnes & Noble’s Fall River Press in their Library of Wonder series. The oversized volume has 503 pages, printed in two colors throughout, and features 21 full-page illustrations by Thomas Yeates, plus numerous vignettes and illustrated endpapers. The informed introduction by Mike Ashley puts the Burroughs novels in context. At a bargain price of $12.98, this would a wonderful gift to a new reader or a keepsake for the collector. 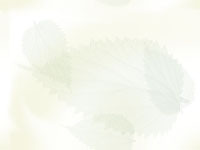 The book is available only through B&N stores and their website (www.bn.com). Correction to GW #325: The wide-angle photo by Bob Zeuschner at the bottom of page one of the huckster room is in fact from ECOF 2009, El Dorado Hills, CA, not the Dayton Dum-Dum. Our apologies for the error. leaving behind wife Josette, sons Robert II and Daniel, and granddaughter Bella. Scary comic book panel found! 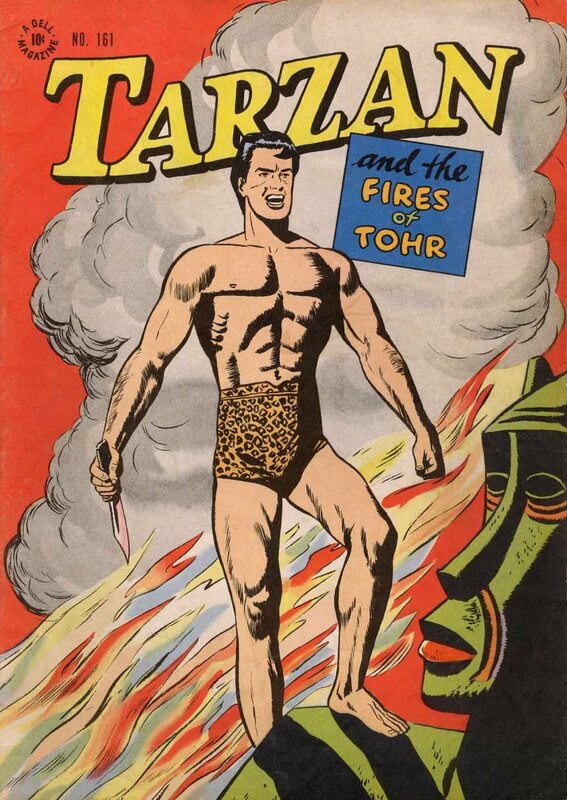 Tarzan comic book collectors will be interested to know that the original art of page 20 of "Tarzan and the Fires of Tohr" (Dell Four Color Comics #161, published in 1947 and drawn by Jesse Marsh) was recently sold at auction. The buyer noticed that the fifth panel was pasted over, so he carefully removed the overlaying panel to discover the original drawing underneath! Evidently, the editors of Whitman/Dell considered the original drawing too scary for the kiddies, so they asked the artist to redraw it. Robert R. Barrett sent us a copy of the original drawing (middle), accompanied by the comic book cover and the published version.